The innovation-driven economy of Flanders offers your business the tools you need to grow sustainably through top-notch R&D activities. Flanders isn’t just home to numerous research institutes, universities and a highly-trained workforce… It also contains a tight network of R&D clusters that offer interesting opportunities for collaboration – right in the heart of Europe. the European #1 for cooperation between science and SMEs. the 13th most innovative economy in the world. (Sources: ZEW, Center for European Economic Research, Manheim, Innovation Indicator, 2014; Innovations Indikator 2015; Community Innovation Survey 2012, Bloomberg Innovation Index 2017). 3rd in math and science education. The universities of Flanders contribute significantly to the scientific knowledge base, ranking in the top 3 of Europe for the number of scientific papers published per 10,000 inhabitants. Flanders’ universities are among the world’s most innovative. To give just one example: according to mass media firm Reuters, no other European university boasts as many influential innovations and patents as Leuven University. Flanders’ oldest university can attribute this chart-topping position to its systematic valorization of scientific research, its numerous spin-offs and its framework for close collaboration with companies. Flanders has two other universities in the 2017 Reuters list of most innovative universities: while Ghent University claims the 19th place, Vrije Universiteit Brussel (VUB) ranks 38th. Their ranking is based on the number of patent requests submitted, the percentage of approved patent submissions, and the commercial influence of the university’s research. 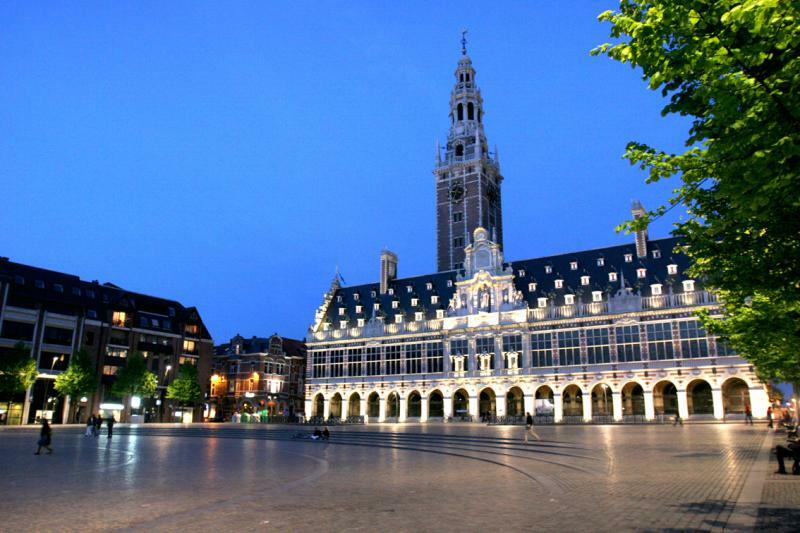 Discover the universities of Flanders. Flanders aims to be a pioneer in the European knowledge society and economy in a wide range of sectors by boosting its knowledge base and innovative potential. With this goal in mind, it’s no wonder that 4 cutting-edge strategic research centers are headquartered in the region. What’s more, Flanders boasts a variety of scientific institutes and R&D platforms. Discover Flanders’ strategic research centers and knowledge institutes. 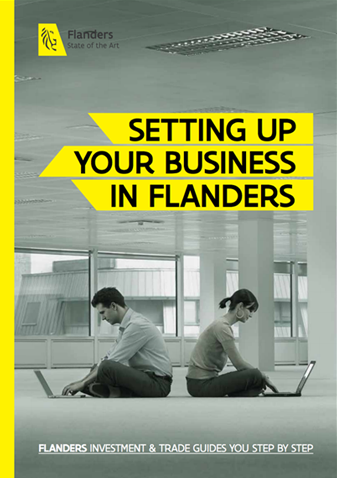 Looking to set up research and development activities in Flanders? You can benefit from an array of tax credits, grants and other incentives. A broad innovation income deduction scheme – enabling companies to deduct up to 85% of their net innovation earnings from their taxable base. Tax breaks of 13.5% on the acquisition value, or 20.5% on the annual depreciations permitted for tax purposes. R&D staff employment advantages, including exemptions of up to 80% from payroll withholding tax (PhDs, engineers and personnel holding master’s degrees). Structural funding for R&D projects provided by Flanders Innovation & Entrepreneurship up to 60%. Expatriate tax status in R&D allows tax-free expatriation. Get the details on R&D incentives in Flanders. Supported by Flanders’ Council for Science and Innovation (VRWI), Minister Phillipe Muyters follows an ambitious compass in planning the development of science, technology and innovation (STI) in Flanders. 7 key priority transition areas have been identified by VRWI, with ambitions in 9 themes that cover society’s needs on economic, ecological and sociocultural levels. Flanders plans on achieving these ambitions by 2050. Highlighting its focus on innovation, Belgium – and Flanders as a region – is the 6th-biggest R&D spender in Europe. According to the European Commission, Belgium spent 2.45% of its GDP on research and development in 2015. Compared to 2005, this represents an increase of 37.6%, making Belgium one of the top 5 growers when it comes to R&D expenditure. … were the first to unravel the DNA sequence of a gene? … were behind the conception of the first technology that introduces new genes in plants? … developed leading medicines in pain management, anesthesia and schizophrenia treatment? … discovered Fentanyl, 200 times stronger than morphine? … developed leading tPA thrombolytic therapy for myocardial infarction? … were the first to use stem cells in bone transplantation? … approved ground-breaking new cell therapy for cartilage? … created a lab-on-a-chip for early breast cancer discovery?